Develop a scientific culture targeting the knowledge set and critical understanding of young researchers. Once or twice a year, core knowledge is covered at national and international level. At that occasion, young researchers have the opportunity to meet their peers and face the challenges of oral presentations and posters. Probity, misconducts, fraud, science communication, social media are rarely the focus of a whole session and are at best addressed at the edge. Most of the time, training focus for young researchers rightfully tackles grant writing skills, lab skills, oral communication and paper writing skills. Nevertheless, secondary but critical aspects seem to be missing during these meetings. 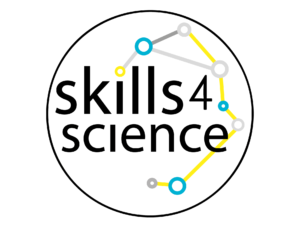 “Skills 4 Science” intends to tackle topics that do not emerge during conventional scientific congresses and to particularly empower young researchers. Module 4 : Social Network; What's in for me? Educating young researchers to the complexity of science and expand their horizon via this new toolbox. Partnership with universities and institutions to perform yearly this training.